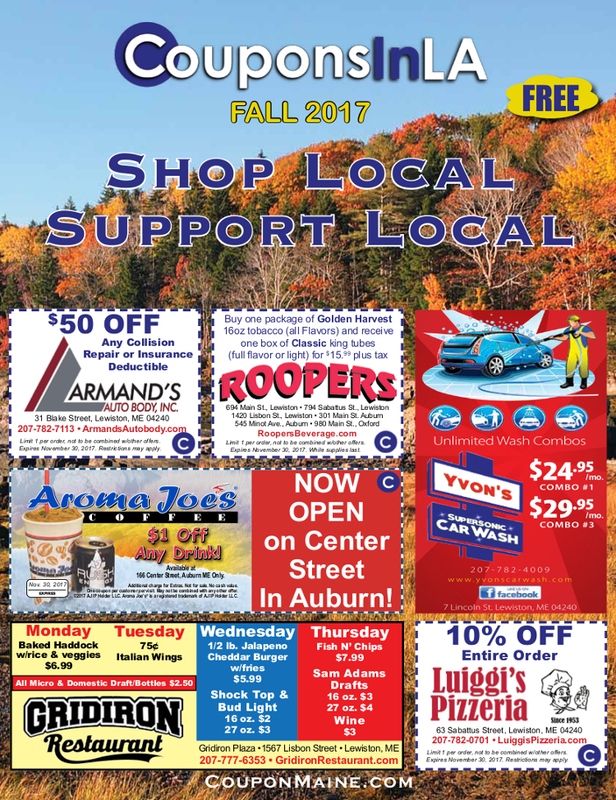 Coupons in Maine is your source for great deals and offers from the Greater Lewiston Auburn Area and Oxford Hills Region. The magazine is published Quarterly by Lewiston Maine based Dow Media LLC and aims to drive local customers into local businesses. Our slogan says it all Shop Local, Support Local. Check out our latest edition for lots of great deals!